The Geo Trade Blog: From the Spanish dollar to the US dollar – a new international world currency for the 21st Century? From the Spanish dollar to the US dollar – a new international world currency for the 21st Century? In the 18th century, the Spanish dollar (real de a ocho or the piece of eight in English) became the first ever, truly, world currency. It was used in Europe, the Americas, the Middle East and throughout Asia. It was minted in the Spanish Empire in the Americas from 1497. Spanish-American silver was used for the world currency. Mints set up in the new world produced silver coins, mostly for export to Spain. Trade and Spanish Government spending spread the Spanish dollar coins into the rest of Europe. They were carried by merchants into the Middle East and beyond by the new sea routes to India and China. Spanish-American silver dollar coins crossed the Pacific to the Philippines and on into China and Greater Asia. Hence it was that the Spanish dollar was the first world currency and the real de a ocho coin became the coin upon which the US dollar was later based. In the 21st Century, the US dollar has the all important world reserve currency status. The bedrock of the dollar's reserve status is its role as the global petro-currency. 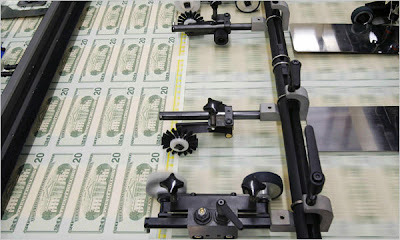 This status often allows the dollar to defy gravity even though the US keeps borrowing and expanding its money supply. At a Summit in April 2011 attended by the BRIC countries (Brazil, Russia, India and China) in China, a key topic on the agenda was the US dollar's reserve currency status. There have been rumblings for a while that the BRIC countries would like to see their economic power mirrored in the reserve currency. 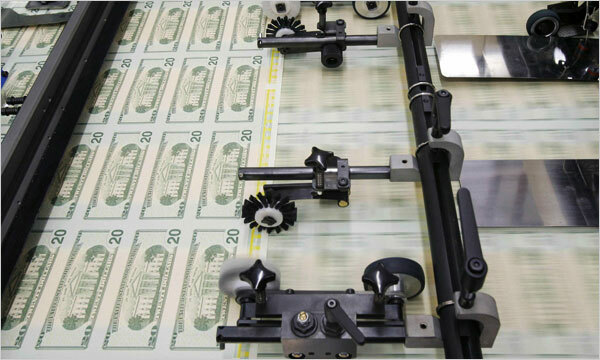 They view the advantages that the US gains from the dollar holding the reserve currency status to be unfair. As a result the BRIC countries have recently begun to offer each other loans in their own national currencies, not in US dollars. And the Chinese Development Bank has now formally offered 10bn yuan loans to other BRIC members for large oil and gas projects. Russia and China are now too trading oil in rubles, rather than dollars. This is of enormous Geo-Trade strategic importance as it could begin to weaken the dollar's role as the global reserve currency especially since a new Sino-Russian oil pipeline has recently opened that will pump 1bn barrels of oil a year from Russia to China. Furthermore the BRICs are all creditors to the US – with the Chinese in particular holding vast amounts of US Treasury bonds. Due to this, it is unlikely that they will make moves to dislodge the dollar as this would harm the value of their own Treasury bond holdings. Instead, the BRIC countries are pushing for the IMF to overhaul the role of Special Drawing Rights (SDR), the international unit of account comprising the US dollar, euro, yen and sterling. The BRICs would like the IMF to include the yuan and the ruble in the Special Drawing Rights (SDR), if that were to happen, then the SDR would be able to ultimately replace the US dollar as the global reserve currency. That would mean the end of US global hegemony and it would force the US to address its massive overseas debts. The US dollar has been on the decline for some time but recently decline has taken it to new lows. The chart below sourced from The Economist shows the nominal exchange rate, in trade-weighted terms (ie, against the country’s trading partners). The index is now 30% below its level when the Bretton Woods System was abandoned in the early 1970s. ﻿What does this all add up to? At present the US' creditors (many of them BRIC countries) are having to cope with the unappealing combination of holding low-yielding Treasury bonds in a depreciating currency combined with their desire to begin to exert influence on the global economy in line with their economic weight. The 21st century looks certain to see in a new era and a potential new international world currency emerging. It is wholly possible that a revised basket of currencies making up the Special Drawing Rights Reserve could take on this role.